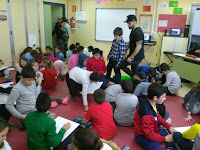 A FANTASTIC EXPERIENCE WITH "HOSH"
Some of HOSH art works. Cristo Corona approached the hip hop to the children who interviewed him. 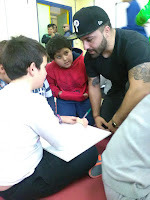 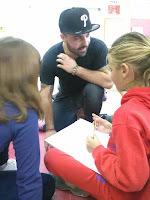 The children were very curious.They asked him lots of questions about his training his experiences with lots of relevant rappers and other musicians. 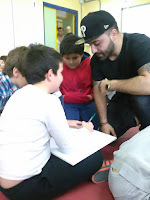 It was a wonderful experience to get know one of our rappers.He was very friendly and close to the kids. After the performance He encouraged the students to write down a rap. 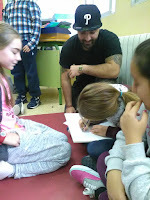 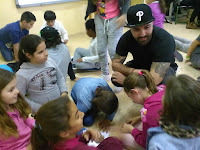 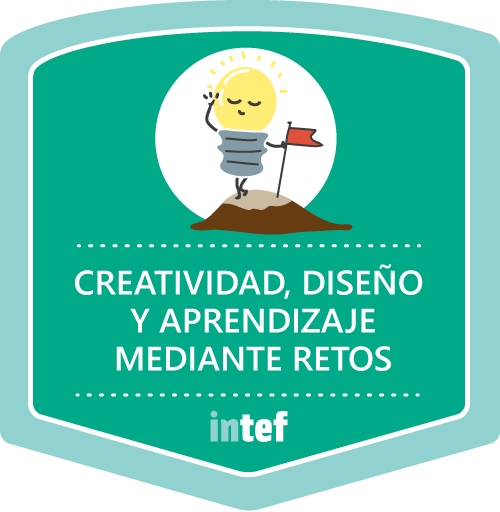 Then the children worked in groups and they tried to invent the lyrics, Cristo all the time was checking their creations and helping them because it was a hard work, but with the help of a professional it was fine and easier.